Devin stood out when he moved into Tunie-Generet over three years ago. Devin is funny, stylish and particularly ambi­tious. Devin attended HeartShare’s Aiello Day Habilitation Program, but he knew he didn’t necessarily fit there. “I can do more. I belong at work,” Devin said. Devin needed training to be considered eligible for a position, but he was willing to learn. 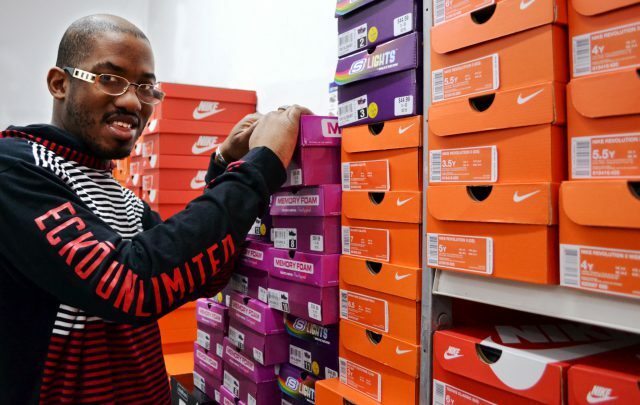 Through HeartShare’s Pre-Vocational & Employment Programs, which offer people with intellectual and developmental disabilities a fair chance in the workplace, Devin now works at Modell’s Sporting Goods. Devin organizes merchandise in the stock room and in the store. In his spare time, Devin enjoys listening to music. The Tunie-Generet Residence staff encouraged Devin to take that passion to the stage. During a drama class in SoHo, Devin learned lines that helped grow his confidence and forge friendships. At work and at play, HeartShare has helped Devin lead a richer, more independent life. Learn more about HeartShare and its Family of Services in our 2016 Annual Report.